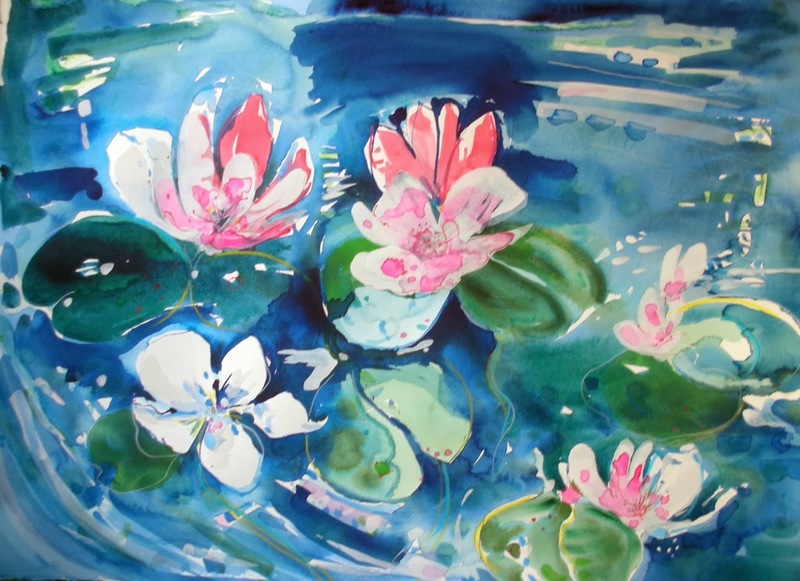 Victor Henderson is developing a firm following for his vibrant watercolours. There could be no better way to brighten up your home on a dreich day than one of his paintings of spring and summer colours that are just around the corner. 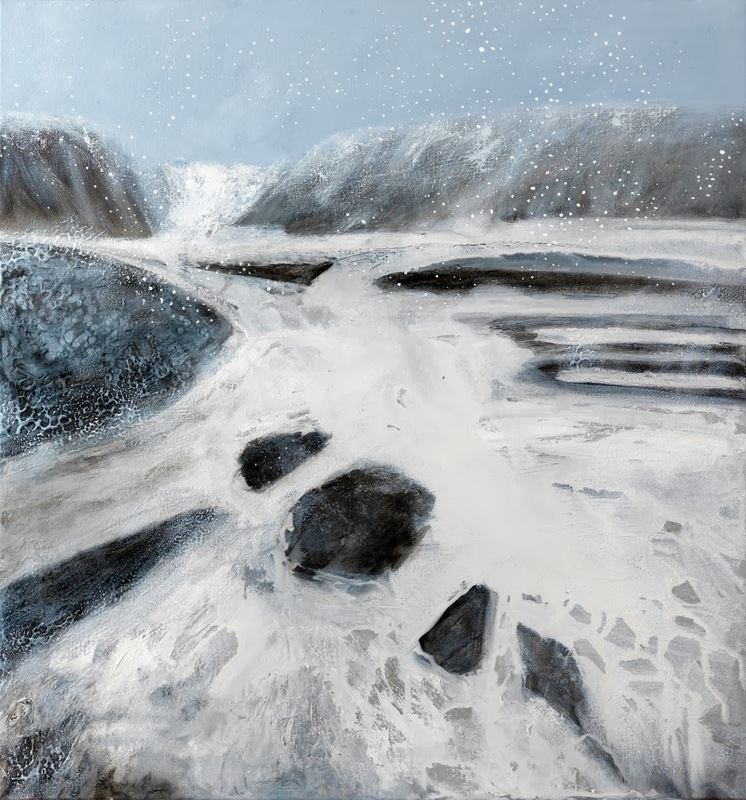 Victor is one of three local artists currently exhibiting in our Winter Exhibition. Fiona Allardyce-Lewis and Silvana McLean bring their own distinctive work to the gallery too. And you can also see reproductions of images in our featured book for the exhibition : A Literary Christmas | An Anthology. It’s beautifully illustrated. The cover of that book is the masthead for this blog. Our Winter Exhibition is on now. 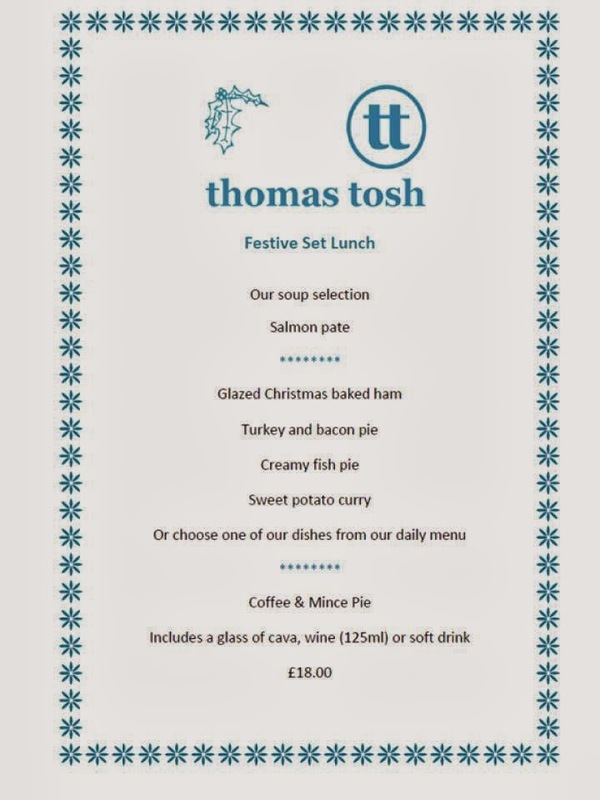 Here it is in time for those pre-Christmas get togethers: our set festive lunch. We are also doing our normal lunch time service with all you favourites. If you would like to book a festive lunch ring us on 01848 331 553, or just pop in. And of course, we cater for special dietary needs. Silvana McLean is one of the trio of local artists exhibiting at our Winter Exhibition, joining Victor Henderson and Fiona Allardyce-Lewis. This is Silvana's second appearance in our gallery this year. She was central to our Life’s a Beach exhibition in the summer, part of our move to quarterly themes that the cafe and shop get involved with as well. That was a visual treat, so it’s great to have Silvana in our Winter Exhibition too. Silvana transports you across seas, to Northern glaciers, wintery woods, and beautiful coasts. Her use of mixed media and boxed frames means that every work is a story in itself. 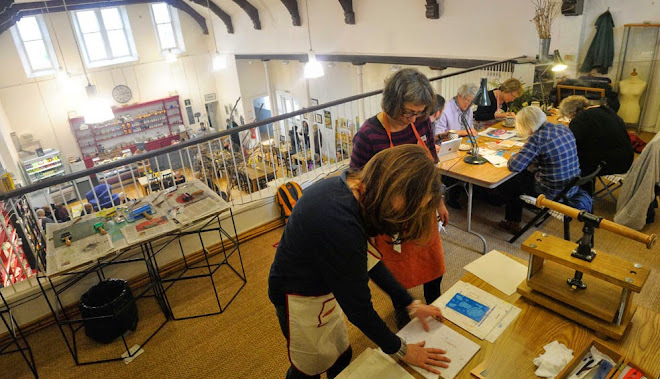 This year a trio of local artists are exhibiting with us for the annual Thomas Tosh Winter Exhibition. They are Fiona Allardyce-Lewis, Silvana McLean and Victor Henderson. Fiona was the first artist to exhibit at Tosh when we launched in 2008. Humorous depictions of feasting and enjoyment are central to her work. 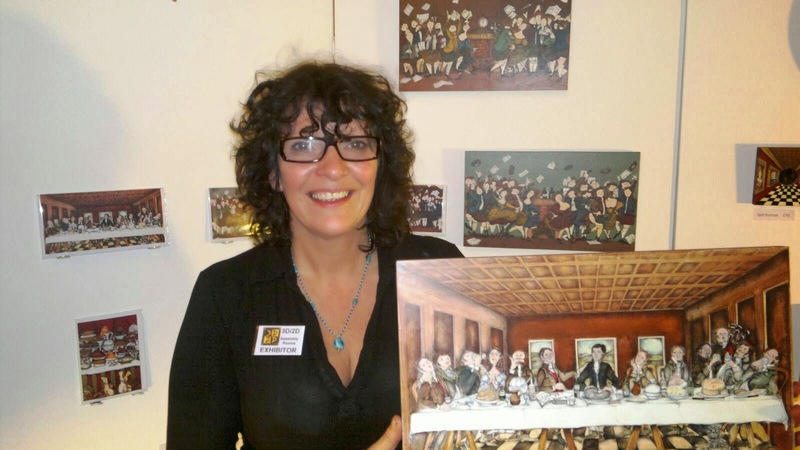 Fiona is launching her new range of limited edition prints exclusively in Dumfriesshire with us. And she has also created a new range of cards which are great for that special occasion. While you are enjoying her work, Burns Supper, try and find a famous dog. Hint: he's had a recent nose job. Also scattered around Tosh are limited edition screen prints featuring DC Thomson favourites Oor Wullie and the stars of the 75 year old Beano: Dennis the Menace and, another famous dog, Gnasher. Our Winter Exhibition is on now.